If you look at it from a technical point of view, you will notice that scalping is a method which is a part of day trading but at the same time differs from the rest of the forms of stock trading. The only difference between the other trading methods or approaches is mainly based on how long trades are held on to for. For example, in scalping, traders hold on to their stock for just a few seconds or a few minutes at best. In day trading, stock can be held on to for a couple of minutes to a few hours. Similarly, swing traders hold on to stock for a couple of days and position traders hold to stock for a few days to a few years. Your main objective is to choose the style that best suits your methods and strategies of trading and your personality. This can be an overly complicated task, especially for fresh traders, but at the same time, it is the most important factor. If you are a fresh trader in the market or even a professional trader for that matter, and you don’t seem to be facing difficulties in getting used to a trading style and feel as if you are not getting anywhere in your trades, then mentioned below are useful traits you can associate with the aforementioned trading styles. 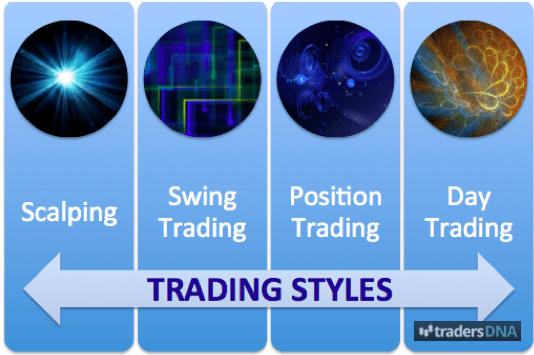 You can then select a trading style that best suits your personality and style of trading. Scalping entails and incorporates a quick style of trading. Scalpers usually conduct trades in a span of seconds and often trade in opposing directions, meaning they tend to be long in one minute and then go short in the next. The scalping style of trading is perfect for traders who are more active and have possess the ability to make critical decisions without hesitating, even for a second. And in regards to this, it has been seen that those who are more impatient in trading often turn out to be good scalpers because they are always hoping that the trades they make will prove to be successful. On the other hand, when scalpers see risk, they exit the market faster than anyone. It is important to remember that becoming a scalper requires one to be more focused, analytical and ready for anything. That being said, people who get distracted fairly easily or can’t make quick decisions can never become fast traders, like scalpers. Day trading is a more relaxed method of trading and is suited to those who like to conduct trades and be done with it in the span of a day. For example, if you started painting your living room and you won’t go to bed until you have completed painting, even if that meant that you would have stay awake till 4 am in the morning. A majority of day traders never consider taking swing or position trades because they will lose sleep over the fact they could close an active trade which had the potential to affect price movement in the market at night. Swing trading is suited to those who are patient. However, once a swing trader enters the market, he will look for a trade that can fetch him profits. Swing traders have the habit of holding their stocks and trades overnight and clearly this method of trading is not for people who get nervous at the thought of holding their trades overnight and not being able to see what happens. Swing trading involves a bigger stop loss, more than day trading. So, it is necessary that you stay calm and ready when you see a trade is going against you. Position trading is considered to be the longest of all trading methods. Position trades often hold trades for more than a year. This sort of trading is suited only for people who have a long-term vision and have the patience and diligence to accomplish those goals. If you are impatient and want to make money quickly, this type of trading is not for you. Moreover, if you want to become a position trader, you would also have to learn the ability to forgo popular and important opinions of traders in the market because oftentimes one position trade is held throughout both bull and bear markets. 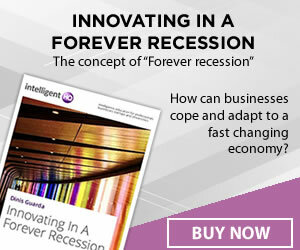 For example, a lengthy position trade may have to be held for a whole year, even when most people would be convinced the economy is experiencing a collapse. So, if you are diverted by the opinions of others, position trading is not for you. 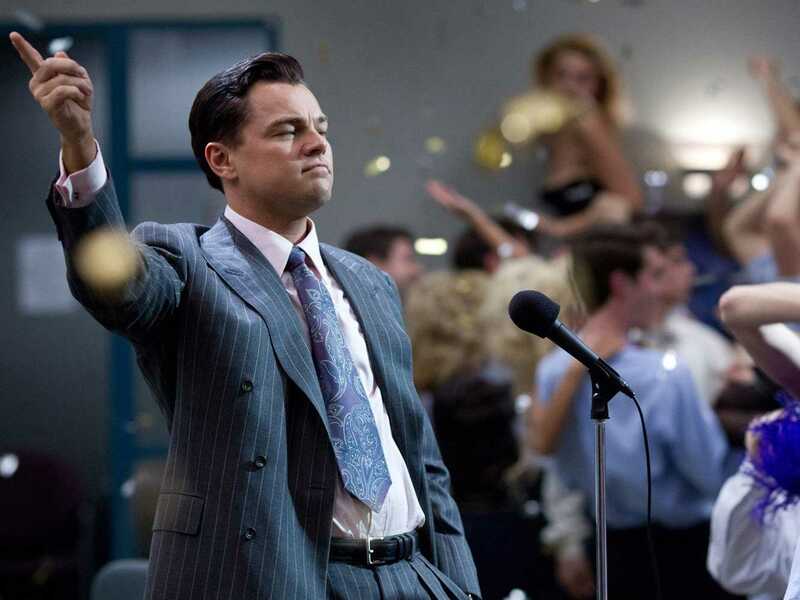 So, these are the four best methods of trading you can choose from. Choose wisely!